> The first Phantasy Star Online (PSO) came out in December of 2000 in Japan, followed by a January 2001 release in the USA. Sonic Team set the standard for console MMORPG's, and PSO would see sequels on the Dreamcast, Gamecube and Xbox. 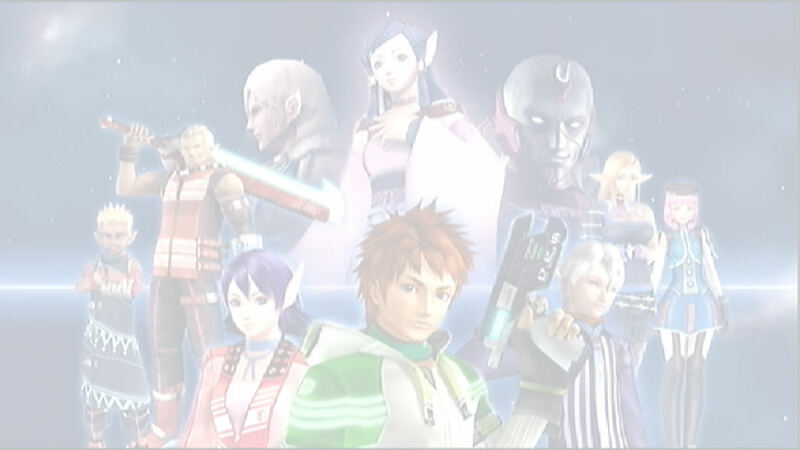 > After spending hundreds of hours on the first wave of PSO games, players yearned for more -- more levels, characters, worlds, weapons and story. Episode III was a nice side story to the original series, but something largely new was in order. 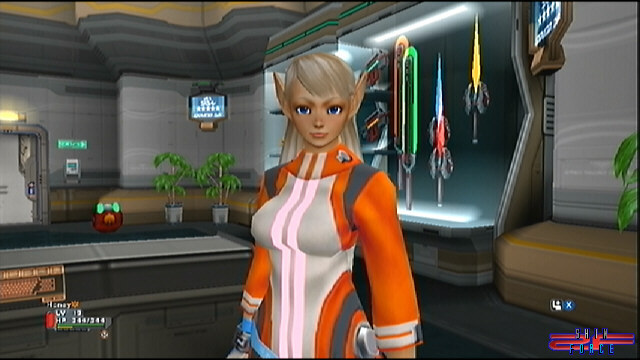 > Enter, Phantasy Star Universe (PSU). Sega teased us with early videos and few details. Then came the disappointing news that PSU was only slated for Playstation 2 and PC. Once the release was delayed a couple times, it became clear that my prayers would likely be answered. Sega finally announced PSU for Xbox 360 in April of 2006. I fully understood that meant the game would be a port, but that's better than the alternative. > One hundred years of peace have been destroyed by deadly invaders called The SEED. You play as Ethan Waber in offline story mode, while you create up to four customized player characters for online gaming. Your mission: join the Guardians in an effort "to save this world". > Let's just face the truth from the start: PSU is a port. Therefore, it doesn't really impress you when compared to other new Xbox 360 titles, like Gears of War, Dead or Alive Xtreme 2, and Need For Speed: Carbon. The only instantly realized upgrade is the widescreen presentation. Anyway, there's lots of lush, new areas to explore over three planets and the Guardians Colony (your base). Parum is a green planet that is reminiscent of the Episode I Forest area. Neudaiz is a rainforest/jungle planet, which has areas that might remind you of the Episode I Mines and Episode II Jungle. Maotoob is a desert planet that has areas reminiscent of Episode IV. Lastly, the Guardians Colony is much like the Episode II Spaceship. > Of course it will be a matter of opinion, but I think the new magic technic graphics are a let down. 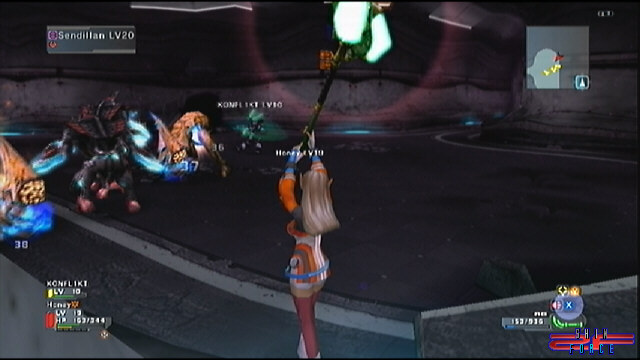 For example, I still prefer the original PSO Rafoie (fire bomb magic) to all latter iterations. Sonic Team basically ruined the impressive looks of Razonde (electrical storm magic), IMO. Level 21+ Radiga (a new ground-based volcano magic) is quite cool, though. > How about the beasts? There's tons of new beasts and some old ones too. Everybody loves Rappies, Dragons and Robots -- they're back. The coolest new monster (that I've seen) has to be the winged devil-like creatures seen on Neudaiz. Naturally, you'll need some powerful weapons to deal with these threats. > A lot of your old favorite weapons reprise their roles in PSU, and most of those are produced by the GRM shop. Other shops produce similar weapons with varying looks and stats. Some weapons have returned, but have a new look. For instance, the Double Saber now looks like a giant Q-tip. A new class of bow weapons is certainly a cool looking and functional addition. Any way you look at it, you won't be commenting that PSU has the sweetest graphics on Xbox 360. 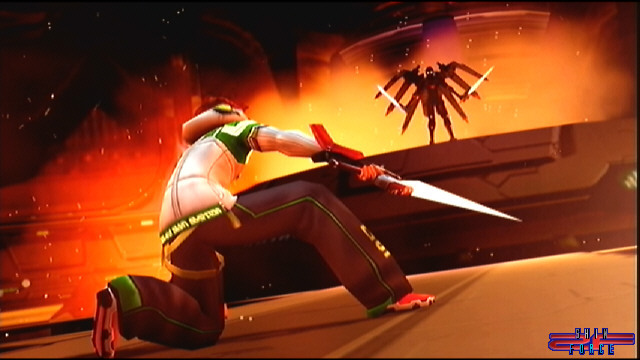 > PSU's control has been largely revamped over the original PSO. It's still a 3rd person view, but now you can strafe and go into 1st person mode for shooting. The battle system is still real-time, but the controls are way different. Now, you have 2 basic attack buttons which can be shifted for 2 more. You use the left stick for maneuvering and the right stick for perspective change. The rest of the buttons and triggers control the menus, view mode, weapons and actions. > Weapons in PSU have Photon Points (PP), which are used for Photon Arts (special moves) and Technic (magic) casting. Once you learn a Technic or Photon Art, you simply use it in battle to raise its level to the maximum your current job will allow. Speaking of jobs, PSU adds several uber-jobs and hybrid jobs to spice things up. Anyway, attacks and magic are now directly associated with specific weapons, instead of the character. Guns and melee weapons can only have one basic attack and Photon Art at a time; scepters can have only two Technics at a time; and staffs can have only four Technics at a time. Grinding is now rich with risk of breakage, and has a maximum of +10 for all weapons. Lastly, the best thing about being able to synthesize weapons is your ability to choose its property (i.e. : fire, ice, light, dark, etc.). > Now, every mission you partake in is basically part "Challenge Mode" of PSO. You are rated at the end for the number of enemies killed and deaths in party. A corresponding number of job points and meseta (money) is awarded based on performance. You can also select how the treasure is distributed in the party -- a welcome addition. > Gone is your Mag from PSO. Enter your Partner Machine (PM), which must be "raised" just like a mag. Your PM stores your items, runs your shop, synthesizes your weapons, armor, etc. (based on its corresponding levels), and can eventually accompany you in battle. I'd say Mags have properly evolved. There's lots more to PSU's gameplay than this, but I've touched on the most important changes to me. > Although the music in PSU is worthy on its own merits, it still can't top the miracle that is the PSO Original Soundtrack. The best song, which is nicely reminiscent of Sonic Team's Saturn days, is the intro tune heard during the opening movie. Some of the area background music is downright boring, though. It's a shame they eliminated the situational music variations. > The sound effects will be largely familiar, which is a good thing. The new effects are well suited to their use. As with most games, however, there's always a few effects that grate on your nerves. Also, Sega could have made the "De Ragan" sound a tad bit more fearsome. > Why did Sega release a game that required updates to unlock what's already on the disc? What I wanted to see was updates/downloads with genuinely new material. Hmmm... maybe sometime soon. Anyway, any MMORPG that causes you to spend as much time playing it as PSU does can't be all that bad. It takes a long time to max your character/job levels, find/make sweet weapons, and experience all there is to see. The pursuit of ultimate strength and friendly parties will take you to that end. > PSU is definitely not perfect, or even "much better" than PSO. There's pros and cons to every change/addition Sonic Team made. 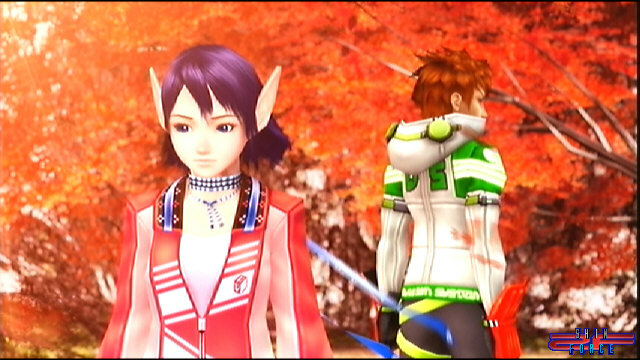 The graphics scream "port+widescreen"; a new hybrid 3rd person gameplay takes time to appreciate; and the music is good, but certainly not at PSO's level. Best features: nearly unlimited gameplay, friendship and interest. Worst features: breaking weapons, failing synthesis and waiting for Sega to unlock content via updates. However, after 250+ hours, I still find myself running this game in my Xbox 360 with no end in sight.